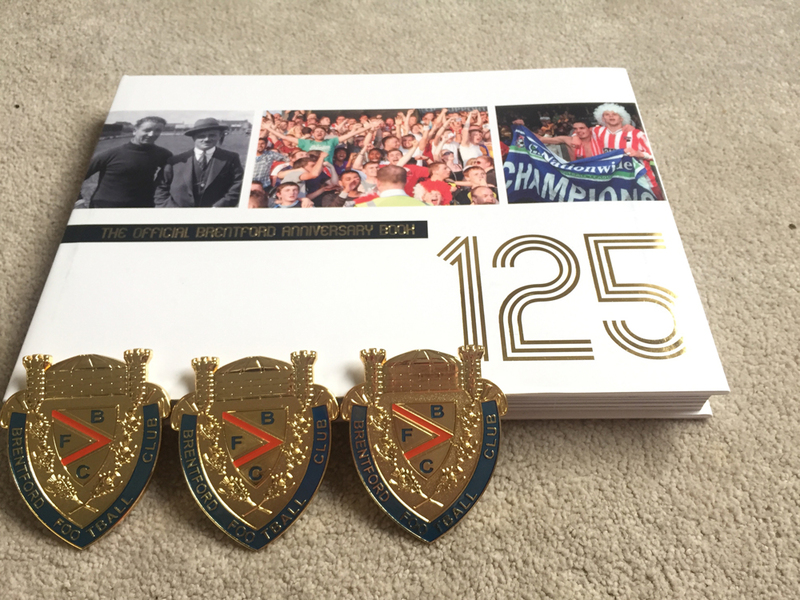 There will be an extra, very special, gift included for anyone buying a copy of the Big Brentford 125 Years book between now and the New Year… A limited edition reproduction of the first ever Brentford badge. The gold coloured metal badges are a faithful copy of an original that was donated to the club a few years ago by former Brentford captain A. H. Charlton – these repro badges were originally only available to those who bought one of the 125 boxed editions of the book at £125 per copy. The offer is strictly offered while stocks last and, at this stage, badges will not be sold separately. Click here to grab a very special gift for you or a loved one this Christmas.